ePipes Drones is a tunable, authentic sounding set of Scottish Highland, Border Pipes, and Smallpipes drones. Fixed issue with missing slider when running the app on smaller iPads. 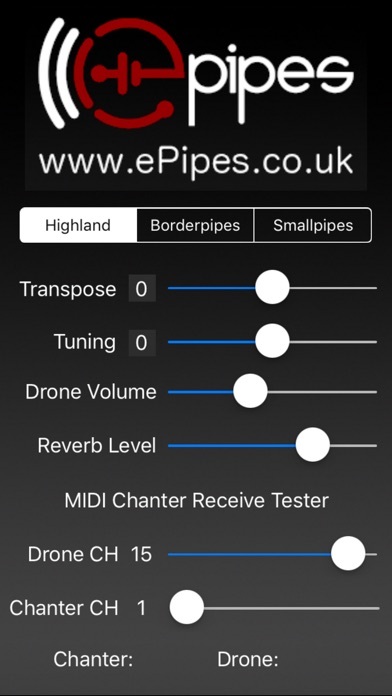 Provides three tuneable Scottish piping drones, plus test features for MIDI chanters like the Fagerstrom Technopipes.